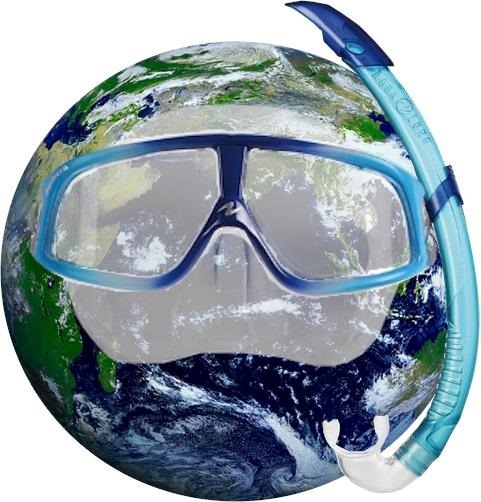 Maldives Complete declares today, 30 July, “World Snorkeling Day”! Other: Guinness World Record Day, Groundhog Day, Valentines Day, Blonde Day, Red Nose Day, Olympic Day and of course Speak Like a Pirate Day. Not to mention, National Days for USA, Italy, China, Turkey, Japan, South Africa and of course the Maldives. In fact, Wikipedia lists over 200 international days of observance. And yet for the one thing in the Maldives where it stands heads and shoulders above all other destinations, there is no “Snorkeling Day”? June is SCUBA Month with its own special “Dive In Day” (11 June). 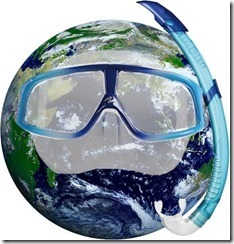 I have decided on today – July 30 – as it is the birth of the snorkel. On this day in 1932, Joseph L. Belcher patented “Belcher Breathing Apparatus”. One detail I do need to clarify is the spelling. One L or two and I’m not talking lumps. The UK spelling is “snorkelling” and the American spelling is “snorkeling”. On this very blog, being an American relocated to England, I go back and forth between both so it is admittedly confusing. However you spell it, today spell reef madness time so get on your fins, mask and snorkel to enjoy the underwater spectacle of the oceans.